Do you have a dog who loves jumping in water and the game of fetch? 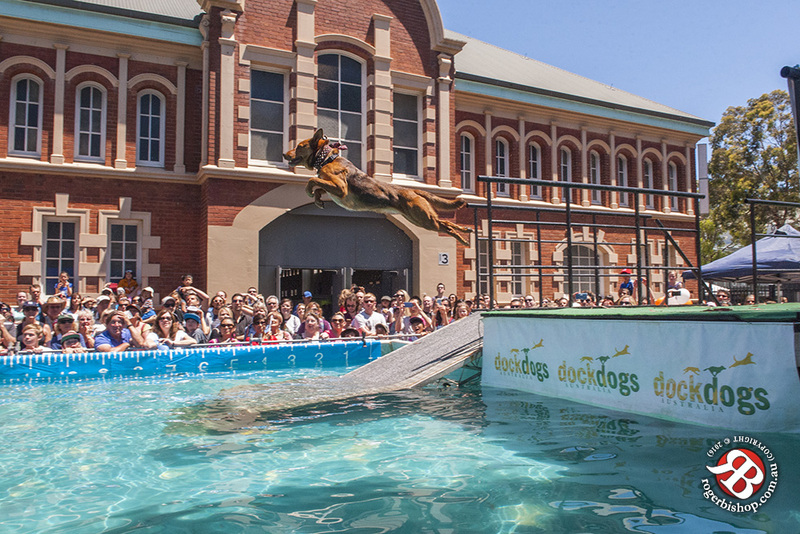 If the answer to this question is yes, then the sport of DockDogs may be the perfect dog activity to take up this summer! 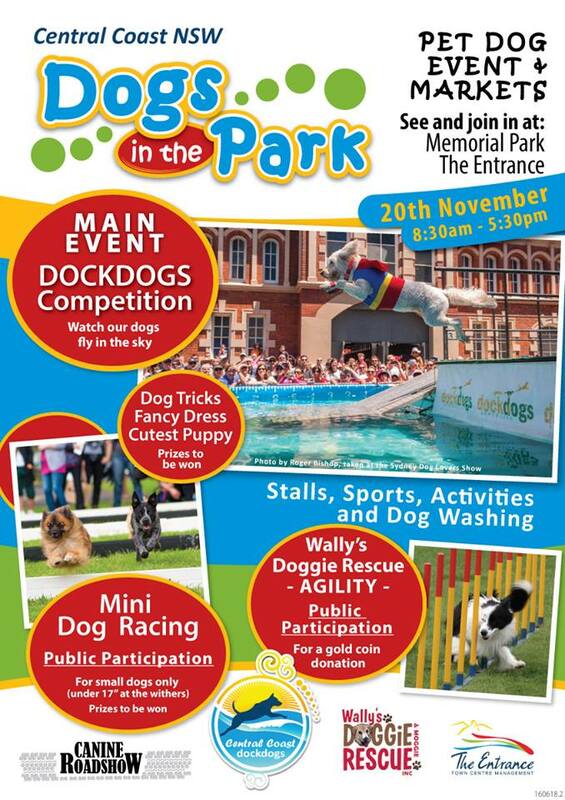 You can learn more about what is involved and your pooch can also have a go at the Central Coast Dogs in the Park event to be held for the first time, on Sunday 20th November at the Entrance.With heatwaves already sweeping across New South Wales and other parts of Australia, all that training in and around the pool will be lots of fun! 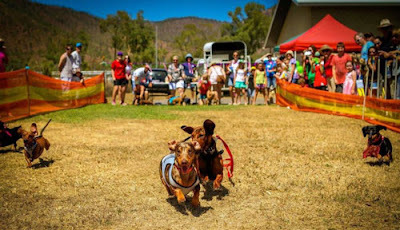 Mini Dog Races: your dog can participate too! This event proudly supports Wally’s Dog Rescue, a not-for-profit rescue for dogs run exclusively by volunteers.